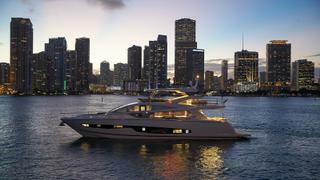 A 30-year tradition, the Miami Yacht Show presents some of 2018’s best new models. 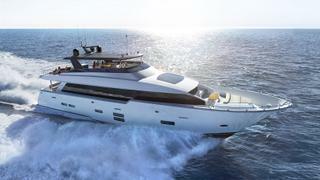 We pick out the key highlights, starting with the new Azimut flagship... Recently honoured at the 2018 Boat International Design and Innovation Awards, the Azimut Grande 35M looks set to wow visitors to the show with its sprawling deck spaces and chic interiors. Recently honoured at the 2018 Boat International Design and Innovation Awards, the Azimut Grande 35M looks set to wow visitors to the show with its sprawling deck spaces and chic interiors. 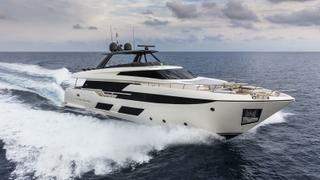 Launched as a recently as June 2017, the new Navetta 33 from Ferretti Group’s Custom Line division has proved to be hugely popular, with ten hulls sold already. It’s not hard to see why, as the yard’s in-house team has done a stellar job creating a voluminous interior flooded with natural light through huge floor-to-ceiling windows. Another impressive new contender from the Italian yard, the Ferretti Yachts 920 is equal parts imposing and elegant, with the largest foredeck seating area in her class. Moving inside and the 920 offers accommodation for up to ten guests split across five cabins styled after the fashion of a floating penthouse. Although she was launched back in 2013 and is therefore not technically a new yacht, 55 metre Gene Machine is truly deserving of her place in our round-up as she is one of the world's best travelled superyachts. More frequently seen exploring icy destinations and remote islands, this is the first time she will be making an official boat show appearance on behalf of her dutch builder Amels. Commercial director Rose Damen added: "Gene Machine has an adventurous owner who has really made the most of his Amels 180 to see amazing places in the world with his family. Hosting Gene Machine in Miami is a fantastic opportunity to share the experience of owning an Amels with our clients." Although she was launched back in 2013 and is therefore not technically a new yacht, 55 metre Gene Machine is truly deserving of her place in our round-up as she is one of the world's best travelled superyachts. More frequently seen exploring icy destinations and remote islands, this is the first time she will be making an official boat show appearance on behalf of her dutch builder Amels. Commercial director Rose Damen added: "Gene Machine has an adventurous owner who has really made the most of his Amels 180 to see amazing places in the world with his family. Hosting Gene Machine in Miami is a fantastic opportunity to share the experience of owning an Amels with our clients." 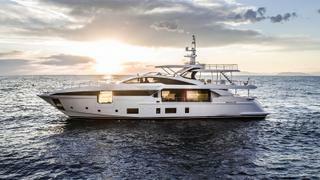 Famed for its custom sportsfish yachts, North Carolina-based Hatteras also has a strong line in motor yachts with its M range, the most recent being the M90 Panacera. The star of the show on this model is the enormous forward galley, which is bathed in natural light, thanks to a vast sunroof. 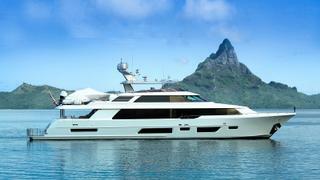 Making her worldwide debut at the 2018 Miami Yacht Show is the fourth hull in Horizon’s RP110 series. Launched back in 2017 and recently delivered, she is laid out in a five-cabin configuration and is propelled to a 21-knot top speed by a pair of 1,900hp Caterpillar C32 ACERT engines. 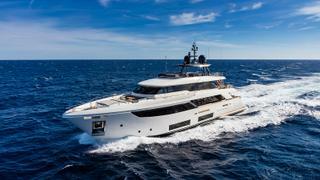 Bringing superyacht styling to a 29 metre cruiser is a highly appealing combination and that is exactly what Monte Carlo Yachts has achieved with its new MCY96 series, styled inside and out by Nuvolari Lenard. 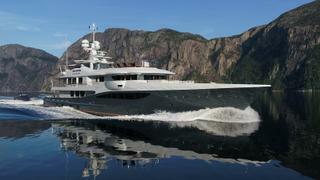 Key highlights include a full-beam owner’s cabin on the main deck and a fold-out superyacht terrace in the saloon. 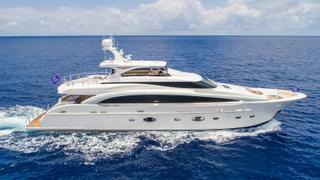 Hull number two in the Benetti Mediterraneo 116 yacht series, Mr Loui will be making her first appearance at the Miami show this year. Exterior styling comes from rising star designer Giorgio Maria Cassetta, while the interior was developed by the yard working in collaboration with the owner’s architect Ezequiel Farca. Al fresco relaxation was a key priority in the development of this 35.5 metre yacht, as can be seen from her 80 square metre superyacht sundeck and its six metre wide dining table. 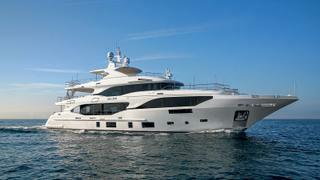 The Ocean Alexander fleet at this year’s Miami Yacht Show will be as strong as ever, with seven yachts on display. 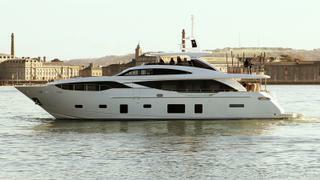 The newest of which is a new OA100 yacht that boasts a five-cabin layout. Styled inside and out by Evan K Marshall, she is hull number ten in this highly popular series. A relatively new name to the American yachting market, Pearl made its Stateside debut at the 2017 Fort Lauderdale International Boat Show. The 24 metre Pearl 80 is its current flagship (hull one will be at Miami, with two more under construction) and visitors can also learn about the yard’s forthcoming new 29 metre, the Pearl 95, which is due to launch later this year. Pearl works with Dixon Yacht Design to create the naval architecture for all its of models, while the chic, modern interiors come courtesy of Kelly Hoppen. Boasting sleek, modern lines and a sporty turn of speed, the Princess 30M is sure to make a big impression at the 2018 Miami Yacht Show as the centrepiece of the British yard’s display on Collins Avenue. 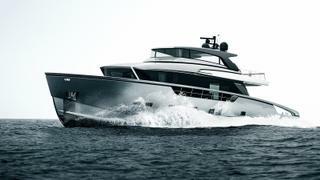 Key features include a hydraulic swim platform and a garage that is large enough for a 4.5 metre tender. 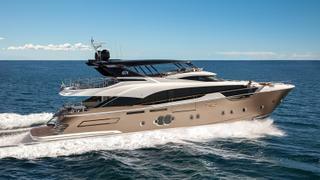 The first in a new line of crossover yachts from Italian yard Sanlorenzo, the SX88 has turned heads the world over with show-stealing appearances in Cannes and Düsseldorf. Now it’s Miami’s turn to find out first-hand what all the fuss is about. Aggressive styling from Officina Italiana Design and a revolutionary approach to interior space should ensure that this will be one of the key talking points of the show. 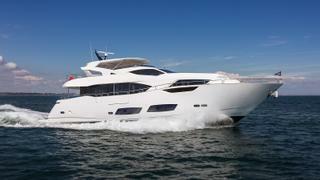 A dazzling array of Sunseeker yachts will once again grace the Miami Yacht Show this year and our pick of the bunch is the recently introduced Sunseeker 95. This raised pilothouse design features a split-level master suite, which cleverly tucks the bathroom underneath the main cabin. Out on the open water, this model proudly upholds the yard’s reputation for performance, with 26 knots possible when the throttles are pinned down. 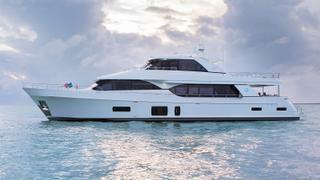 It wouldn’t be the Miami Yacht Show without a healthy smattering of Westport yachts and this year the American yard is introducing a fresh take on its ever-popular Westport 112 model. Details are few and far between at this stage, but expectation is sky-high as more than 50 of these yachts have been launched to date, making it one of the most successful semi-custom series to date.